For years physical educators across the country have advocated for daily physical education for their students. Legislators have joined the bandwagon and passed legislation mandating physical education for most K-12 grade students throughout CA and across the nation. However, much to the dismay of physical educators, concerned parents, public health advocates, and pediatricians, the public policy mandating physical education has been largely ignored. As an example, a 2006 audit of CA public elementary schools found that less than 36% of the students were receiving elementary school physical education. 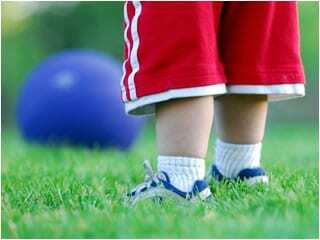 Many parents don’t give physical education a second thought. “Well, sure, Johnny gets physical education. I think.” is a common parental response. But with the childhood obesity crisis, everyone is beginning to take notice as our children’s weight increases and their overall health declines. School districts cite a variety of reasons for neglecting to provide mandated physical education. A lack of funds, inadequate facilities, and lack of teacher training are among the most voiced reasons. Are these valid reasons for ignoring this crisis? Little has changed on this battlefront since President’s Eisenhower and Kennedy appealed to the nation on the importance of fitness, as a national security issue, so that the nation’s youth would be fit for war. 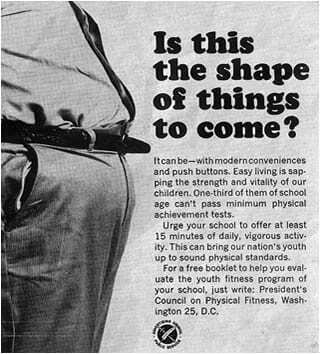 In the years just after World War II, concerns about the fitness of U.S. citizens, especially the young men attracted national attention. Mechanization had taken many farmers out of the fields and allowed the ones who remained to do much of their work with far less effort. The factories, which had long been highly mechanized, were becoming even more so, and fewer and fewer factory jobs required heavy labor. Outside of work, new forms of entertainment emphasized watching rather than doing. Today we know that research suggests a longer time frame of 60 minutes per day of moderate to vigorous physical activity. The previous statement was part of The Center for Disease Control and Prevention CDC 2004 Guideline. Now, a half century later, the nation’s second largest school district has reinvigorated local efforts to bring daily physical education to their students. In Los Angeles Unified School District’s 533 elementary schools, students are again experiencing physical education. This sea change began after the 2006 audit of physical education as part of the School Compliance Review process conducted by the California Department of Education. A recent article published in Social Science, Equal Justice, and Public Health Policy: Lessons from Los Angeles, in the Journal of Public Health Policy (2009) chronicles a case study of how Robert Garcia, an attorney for The City Project in Los Angeles, and Chad Fenwick, Physical EducationDirector for the Los Angeles Unified School District, took steps to bring about compliance with the public school mandates of offering 200 minutes of Physical Education (each two weeks) in the elementary school to all students. The City Project (a legal and policy advocacy organization), working with teachers and school officials, is using social science and legal research to promote changes in public policy that hopefully will result in better and more equitably delivered physical education in public schools in Los Angeles, California. The major goals are, first, to help students learn the skills and knowledge to move more, eat well, stay healthy, and do their best in school and in life; second, to alleviate unfair disparities based on race, ethnicity and income; and third, to engage, educate, and empower people to improve public education and health. This case study shows that academics can work with lawyers and other practitioners, including teachers and organizers, to maximize the impact of their research. The four pronged approach represents a strategic and highly organized course of action that has four major elements. First, the teacher’s union-United Teachers of Los Angeles- organized a public campaign to support physical education. Second, attorneys file an administrative complaint on behalf of parents, youth groups, and health advocated under civil rights and education laws to require the school district to enforce physical education requirements. Third, in response to the campaign and complaint, the Board of Education of the Los Angeles Unified School District unanimously adopted a resolution to enforce physical education laws. Fourth, the teachers, attorneys, and school officials are now working on an implementation plan to enforce the physical education laws and resolution, and resolve the complaint. The goal has been to persuade the school district to provide quality physical education without litigation but to resort to litigation if necessary. Through the combined efforts of all stakeholders including school officials who agreed to work with the teachers’ union and The City Project’s legal team and public policy personnel, litigation has not been necessary to date. The campaign, complaint, resolution, and implementation plan draw heavily on research published by The California Endowment, a philanthropy committed to improving equity in health in California. Children of color are disproportionately affected by the failure to provide physical education and disproportionately suffer from obesity. Between 1999 and 2006, obesity among students in the Los Angeles Unified School District increased from 20.2% to 26.1%, according to the county health department. 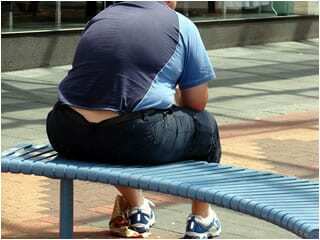 The percentage of obese students continues to be persistently higher than at other schools in the county. Los Angeles, like many school districts across the nation, simply fail to enforce physical education mandates. Therefore in neglecting to meet a physical education mandate, there is evidence of both discriminatory impacts and intentional discrimination in the failure to provide mandated physical education, according to the complaint. Persuading other school districts to enforce physical education requirements has previously proven to be unfruitful and uneventful. But this new strategy, which has played out in Los Angeles over the past year, represents a thoughtful and strategic effort by key stakeholders in the community and in the district has packed a powerful punch. It has leveraged the undivided attention of the part of district officials in an attempt to avoid legal action. The message from The City Project and LAUSD teachers’ union to school officials is simple: Do you want to get married? And, by the way, we have a gun. The Los Angeles Unified School District is the second largest school district in the United States. In the world of education, a common battle cry is “what California does the nation follows.” It appears that in the area of equal access to daily physical education, Los Angeles Unified School District is showing the way. 2. SHPPS is a national survey periodically conducted to assess school health policies and programs at the state, district, school, and classroom levels. Comprehensive results from SHPPS 2006 are published in the Journal of School Health, Volume 77, Number 8, October 2007. 5. CA Education Code Section 840006. Garcia and Fenwick, Social Science, Equal Justice, and Public Health Policy: Lessons from Los Angeles, in the Journal of Public Health Policy (2009) 30, S26-S32. 6. Garcia R, White A. Healthy Parks, Schools, and Communities: Mapping Green Access and Equity for the Los Angeles Region. The City Project Policy Report, 2006, pp. 8-9.8. Los Angeles County Department of Public Health. Obesity among school children in Los Angeles County, 1999-2006. 7. Garcia R, White A. Healthy Parks, Schools, and Communities: Mapping Green Access and Equity for the Los Angeles Region. The City Project Policy Report, 2006, pp. 8-9.8. Los Angeles County Department of Public Health. Obesity among school children in Los Angeles County, 1999-2006. 8. Los Angeles County Department of Public Health. Obesity among school children in Los Angeles County, 1999-2006.